Last week saw Keep the Promise rallies to save Lanterman Act services and fund the direct support workforce for Californians with intellectual and developmental disabilities (I/DD) throughout the state. 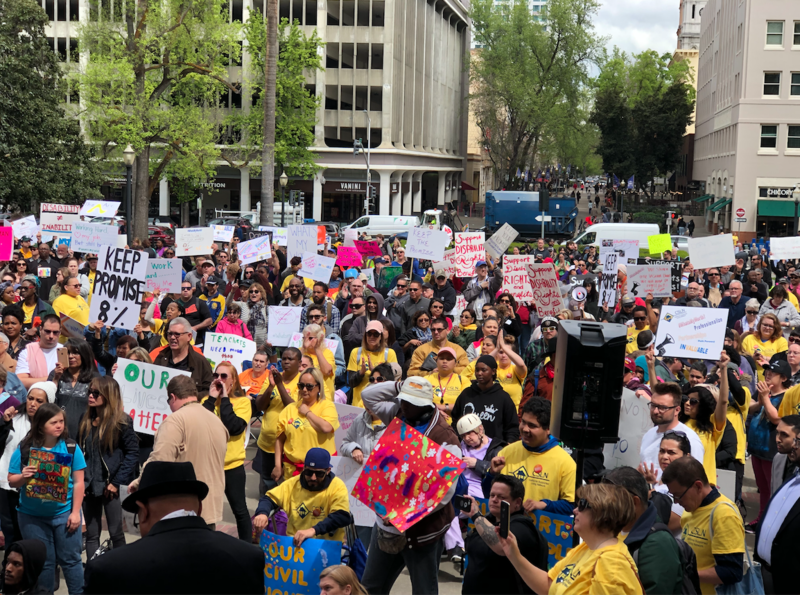 The Sacramento rally on Wednesday, April 3 was a rousing success with crowds estimated between 1,500 – 2,000. Several rallies took place on Friday, April 5th which we will cover in next week’s Monday Morning Memo. These rallies play a key role in convincing lawmakers and the public to support the I/DD community. Members of the press covered the Capitol rally, helping spread our message to the broader community. You can watch local NBC affiliate KCRA coverage on YouTube. The following legislators came out to the Capitol steps to sign their names to the budget request letter, pledging their support for an 8% increase in funding to Lanterman Act services and supports for people with I/DD. The rallies, media attention, and legislators who support the 8% budget request represent a good start. However, we would like to see the signatures of every Senator and Assemblymember added to the budget request letter. There is still time for you to take action. Visit thelantermancoalition.org and click the “Take Action” button to write to your state representatives telling them why they must sign on to the letter and #KeepThePromise to Californians with I/DD.